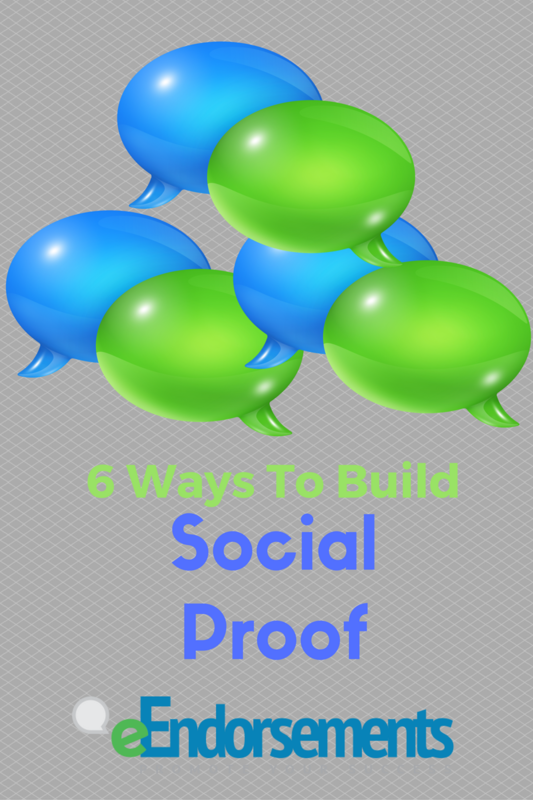 Last week, we talked about why building social proof is so important for your business. While it’s certainly imperative to understand the reasoning behind this facet of your marketing strategy, it’s also crucial to know the foundations on which social proof is built. If social proof is the psychological impulse to do something because other people are doing it, how can you cultivate it around your business? Here are six of the most straightforward ways to do it. Make Your Numbers Work For You. In 2016, social media is the most efficient way that social proof is built. If you’ve got 1,000 Twitter followers but only 100 Facebook fans, only share your Twitter account on your website or Google My Business page. Make It Simple To Share Your Content. At eEndorsements, we provide a platform by which you can share and promote your ideas on your social media pages. This is imperative when it comes to social proof — your current and potential customers need to be able to share posts easily and without too much thought. Find Expert Endorsements. The type of expert in question varies from business to business, but it’s always valuable to share expert feedback from known names in your industry to boost credibility. Feature Your Testimonials. If you’ve ever gotten particularly great feedback from a customer, don’t hesitate to feature that feedback prominently on your social media platforms, and even on the home page of your website. Share Where You’ve Been Featured. If your business has received a write-up in the local paper, a relevant website, or an industry magazine, be sure to direct people to it. You should also focus on getting your business featured in those same publications, either by way of feature or a guest post. Boost Your Rankings. eEndorsements allows you to promote and share your highest-rated reviews, and those reviews are crucial for content promotion. Each positive review acts as a boost in your company’s overall ranking, and the higher the rankings, the stronger your social proof will be. The only way to misuse social proof as a component to your marketing strategy is to not use it at all. Whether you pick and choose from this list or find creative ways to push attention to your company on your own, there’s no wrong way to build social proof — as long as you’re always building it.